Umran graduated in 1966 from the State Conservatory in the Faculty of Fine Arts in Ankara, Turkey, after nine years of study. Subsequently, she received her Master’s degree from Hecettepe University in Ankara. For the next sixteen years she danced with The National Ballet Company of Turkey as a leading soloist. At the invitation of Dame Ninette de Valois, she studied at the Royal Ballet School of London and was later sent by the Turkish National Ballet to study choreography and teaching with the Ballet der Wiener Staatsoper Austria, for one year. Umran worked with world famous choreographers and teachers, among them Anton Dolin, Dame Ninette de Valois, Molly Lake, Travis Kemp, Beatrice Appleyard, Todd Bolender, John Gilpin, Alfred Rodrigues, Richard Glasstone, Sulamif Messerer, Valery Panov and Yuri Grigorovich. Her repertoire includes thirty classical and modern productions. 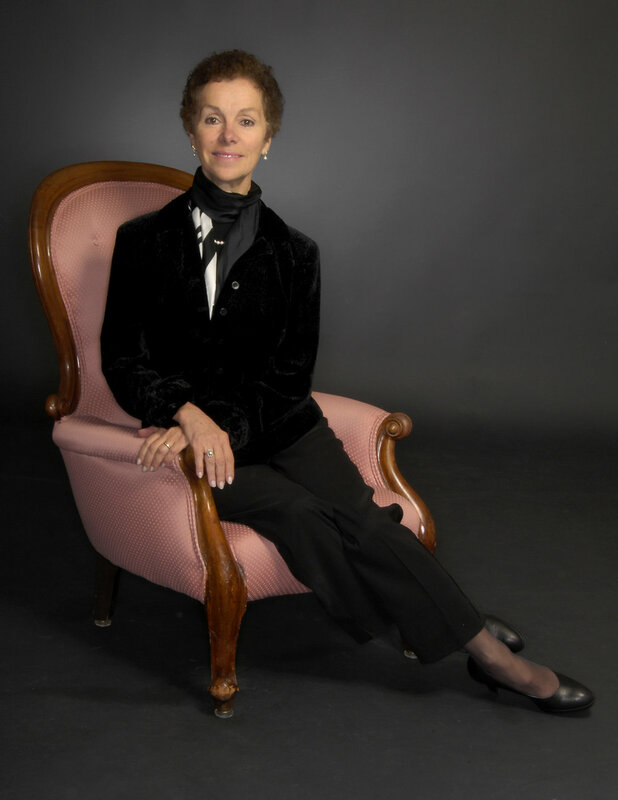 In 1986, she was appointed Artistic Director of the Calgary City Ballet. In 1993, Umran was awarded the commemorative medal for the 125th anniversary of the Canadian Confederation. This medal was given to Umran for her outstanding contribution to the arts and culture of Canada through her work as a dancer and teacher. In 2004, she was given the Immigrants of Distinction Award. Umran was the recipient of the 2008 Calgary Award for Community Achievement in the Arts. She was recognized for her outstanding achievement, significant contributions and for improving the quality of life in Calgary. She is a member of the Turkish National Ballet Company (TNBC), the Royal Academy of Dance (RAD) and the Canadian Dance Teachers’ Association (CDTA). Mimi is proud to have been with the International School of Ballet for its history of 27 years. She has a Bachelor of Fine Arts degree from the University of Calgary. Mimi specializes in training the youngest dancers in the Early Childhood program to Grade two level in classical ballet. She considers it a privilege to guide the children through their first steps into the formative 5 years of study. To engage, motivate and nurture a love of the art while providing technical and artistic growth continues to inspire her as a teacher. Mimi is also a visual artist and designs and creates headpieces and props for class and stage. Nicole Wickett, ARAD, RADRCTS, BComm. Nicole hails from Saskatoon where she trained under Yvonne Jaspar, ARAD. Upon achieving her RAD Advanced 1 and Advanced 2 exams with Distinction, Nicole danced professionally with the Saskatchewan Contemporary Ballet Company, and began teaching RAD. After successful completion of the Certificate in Ballet Teaching Studies program with the Royal Academy of Dance, Nicole became a registered teacher with the RAD. Nicole’s love of movement has led her to also attain teaching certification and training in Vinyasa Flow yoga and Barre Body method. Nicole has been teaching at the International School of Ballet since 2010; she feels very privileged and honoured to be part of the ISB family. Laura teaches with ISB and Jeunesse Classique Ballet. She began her ballet training at the International School of Ballet in 1996 and continued through to 2008. Laura also completed summer programs with the National Ballet in 2001 & 2002. Laura has a Bachelor’s of Science degree with honors and recently completed her Master’s degree in Biology at the University of Calgary. Rachel Mclean studied ballet at the International School of Ballet from Primary through Advanced II, achieving Distinction on her final exam. She danced with Jeunesse Classique Ballet for ten years and Goh Ballet Youth Company in Vancouver for a year. As a dancer, she has performed Clara, Cake Princess & Sugarplum (The Nutcracker) and Czardas Soloist (Coppelia). Rachel is currently studying Arts and Computing Science at the University of Calgary. Kate Kaupas began her ballet training at International School of Ballet under Umran Sumen, and was accepted into the full year program at the National Ballet School of Canada at age 12. Upon returning to Calgary, Kate resumed training in R.A.D at International School of Ballet. Kate was later accepted into the professional graduate program at the School of Alberta Ballet, where she had to the opportunity to perform with the Alberta Ballet Company. Upon graduation, Kate received a contract to dance professionally with Ballet Tucson. She danced in Tucson for 3 years where she performed many corps de ballet and soloist roles in ballets such as The Nutcracker, Swan Lake, Carmen, and Cinderella. Kate teaches classes at ISB and is also a rehearsal mistress with Jeunesse Classique Ballet Company. Carling has been dancing for 17 years, 11 of which she has trained at the International School of Ballet under the instruction of Mrs. Sumen. She has completed all her RAD examinations, from Primary to Advanced 2. Thanks to Jeunesse Classique Ballet, she has also been privileged to perform within the city of Calgary for supportive audiences. She has performed repertoire from Swan Lake, as well as various other classical pieces. She is looking forward to receiving an education with the Royal Academy of Dance in order to achieve her teaching certification in the near future. Jaciel was born in Pinar del Rio, Cuba and trained at both the Provincial School of Arts in Pinar del Rio and the National Ballet School in Havana, Cuba. From 2006-2010, he was with the National Ballet of Cuba and worked with artistic directors and choreographers: Alicia Alonso, Jean Grand maitre, Igal and August Bournonvill. He toured with the National Ballet of Cuba to Spain, England, Australia, France, Italy, Mexico, Brazil, Greece, Ecuador, Columbia, Dominican Republic and Venezuela. Tamara started ballet in her hometown of High River, Alberta at the age of 3. Her passion for ballet grew which lead her to the International School of Ballet at the age of 9. Tamara was fortunate to be Jeunesse Classique Ballet's first Clara in the production of the Nutcracker. At 10 years old Tamara auditioned for Canada's National Ballet School in Toronto, and was accepted into their full time professional training and academic program. In 2000, after completing 8 years of studies and a summer exchange with Hamburg Ballet School, Tamara graduated from the National Ballet School and was accepted as an apprentice for the National Ballet of Canada. She danced as a corps de ballet member until 2010. Tamara has worked with many world renowned artists and choreographers such as James Kudelka, John Neumeier, Suzanne Farrell, Crystal Pite, and Nikolai Hubbe. She has danced roles in classical ballets such as Swan Lake, Giselle, Cinderella, La Sylphide, Les Sylphides, the Nutcracker, La Bayadere, Romeo and Juliet, A Midsummer's Night's Dream, An Italian Straw Hat, La Fille Mal Gardee, Manon, Madame Butterfly, and Onegin. She has danced in many Balanchine ballets such as Symphony in C- 1st/3rd movement, Jewels- Rubies, Emeralds, and Diamonds, The Four Temperments- Melancholic, Violin Concerto in C, Theme and Variations and Don Quixote. Some more contemporary ballets include Crystal Pite's Emergence, John Neumeier's the Seagull, and Jerome Robbins' West Side Story. Tamara is now a mother of three, and recently moved back to her hometown of High River with her husband, former first soloist Keiichi Hirano of the National Ballet of Canada. She is thrilled to now be a teacher at ISB. Anne is the Office Manager for the International School of Ballet. She coordinates all new and existing student registrations, is the main point of communication with parents and manages the day-to-day operations of the school. Anne previously studied with the International School of Ballet from 2008 – 2015 achieving her Advanced II. Anne has a Bachelor of Kinesiology with a minor in Dance from the University of Calgary.